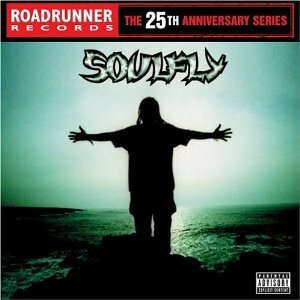 SOULFLY - SOULFLY RR 25TH ANNIV. EDIT. (2CD DIGI)	| Online Shop | Wizard LTD. Album: "SOULFLY RR 25TH ANNIV. EDIT. (2CD DIGI)	"
The album was also released on August 30, 2005 as part of the Roadrunner Records 25th Anniversary Reissues with the Limited Edition bonus tracks and a new one ("Blow Away") added to the first disc and a different 2nd Bonus Disc with live performances at the 1998 Roskilde Festival, spoken word live performances and a four-track demo.